Online Shop/Blog/ONLINE SHOP NOW OPEN! 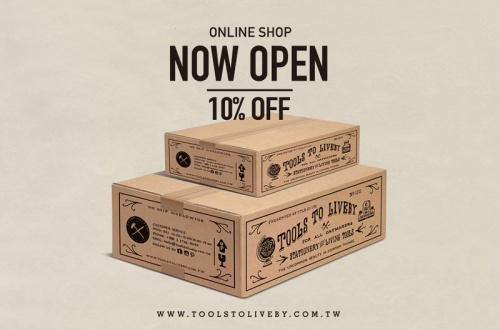 Celebrate TOOLS to LIVEBY official website formally launched, Enter『HAPPYOPEN』to get extra 10% off during the promotion event! Enjoy free shipping for spending over NTD 3000. Get register first to join the special offer. Free shipping is for Taiwan only.